What is a tlz file and how do I open a tlz file? When TAR files are compressed using Lzip file compression, these zipped TAR archives are now known as TLZ files. These are also files using the Lempel-Ziv-Markov chain-Algorithm, an algorithm used for the performance of lossless data compression wherein lossless data compression refers to the compression process allowing the exact reconstruction of the original data into a compressed data. Although TLZ files are mostly used on UNIX systems, they are also supported by Windows and Macintosh systems where LZIP is installed. 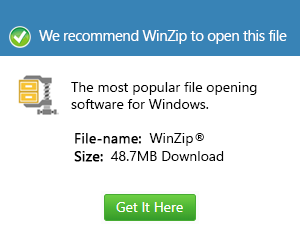 Opening TLZ files require applications like 7-zip, a program, a file archiver known for its high compression ratio; the 7zX file archiver wherein the data used in tests are the ones that determine the results of its compression ratio; as well as the Tukaani LZMA Utils, software for legacy data compression also known for its high compression ratio. TLZ files can be opened in Windows, MAC and Linux OS as long as these applications are installed.